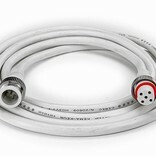 Waterdichte RGBW verlengkabel voor gebruik op onze waterdichte RGBW ledstrips. 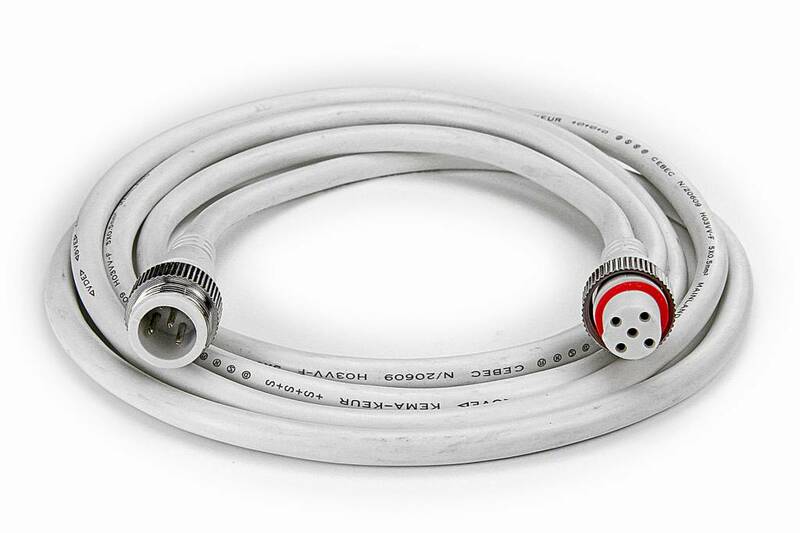 RGBW waterproof extension cable, 2 meters with a solid 5-pin connector (male and female) with screw seal. Use this cable to create extra length between the LED strip and LED controller. Connect the cable directly to the connector of the waterproof LED strip and on the other end of the extention cable a waterproof 5-pin RGBW pigtail connector with five wires. Connect the wires of the RGBW pigtail connector to the LED controller. Connecting multiple extention cables to each other is possible.